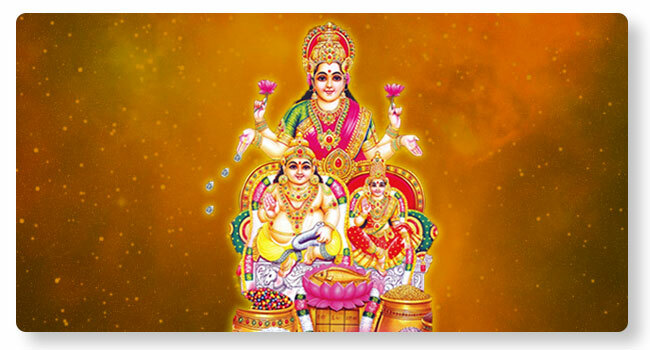 Lakshmi Kubera Homa is performed to be blessed with luxuries, financial growth and success. It will imrpove income and help overcome hindrances blocking wealth inflow. Invoking them through homa can shower the performer with wealth and luxury while instilling confidence and ability to acquire material growth and prosperity. Ample opportunities to augment source of income, achieve financial stability and overcome hurdles are some of the possible outcomes of conducting this Lakshmi Kubera Homa. Lakshmi Kubera Homa is performed by priests who are steeped in ‘Prayogas’ with the requisite skills to perform the Homa. Performing the Lakshmi Kubera Homa can bestow maximum prosperity to the devotee.